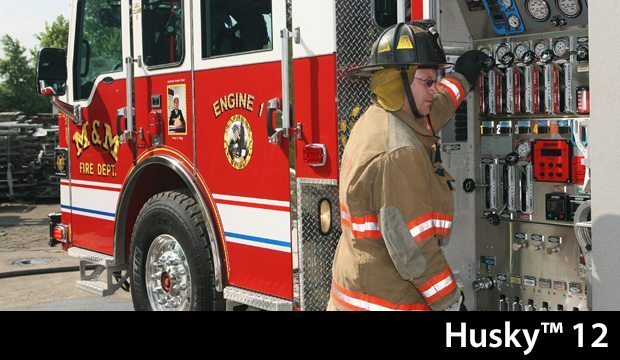 Husky™ foam systems are hydraulically powered to reduce the load on the chassis and prevent overloading during tough fire calls. 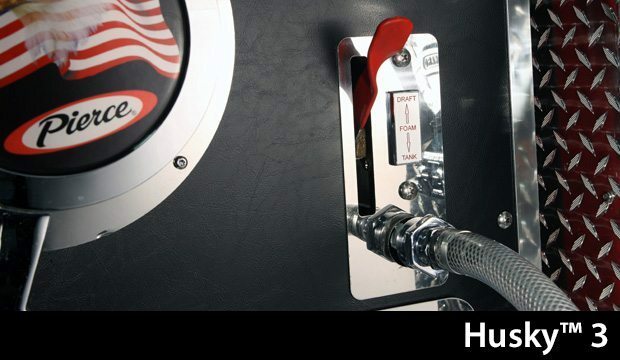 The Husky™ uses water from the vehicle’s water tank or a high-pressure hydrant, and the system is equipped with an auxiliary foam pick-up, which allows for continued foaming operation even when the tank is depleted. 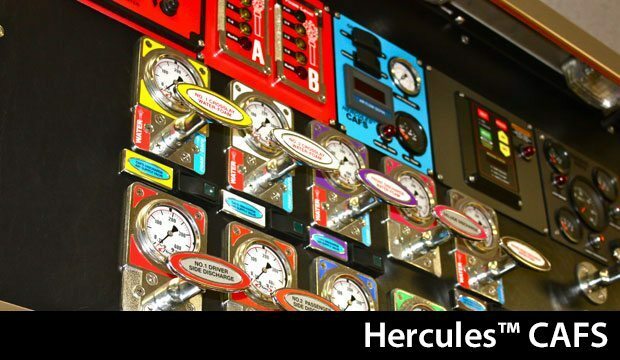 They’re designed with individual metering valves, allowing for simultaneous operation of water-only cooling lines and foam lines, plus each metering valve can be adjusted for 1, 3, or 6 percent foam. 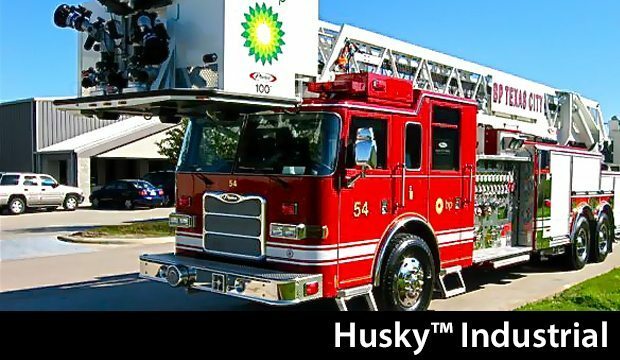 The Husky™ 12 is designed especially to handle structure fires, wildland fires, automobile fires, and small Class B fires. 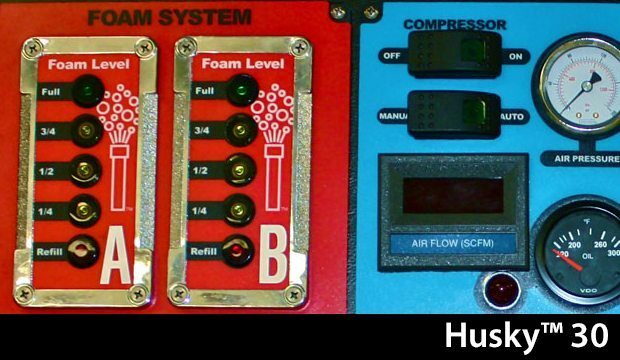 Pierce builds the best performing, easiest-to-use foam systems in the industry. Contact Ten-8 today to be allied with our knowledgeable sales and support team, and let us help you find the foam system that meets your every need. We’re here for you 24/7/365.